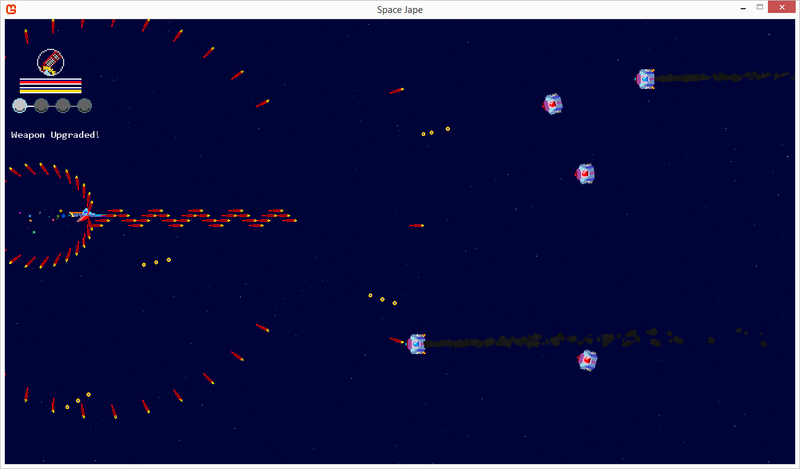 Space Jape is an arcade style, side-scrolling space shooter game. The primary weapons can be picked up by defeating a miniboss and there is a total of 6 primary weapons, including the starting weapon. Each primary weapon has 3 diffrent levels and to upgrade a weapon you must collect experience that drops from enemies when they die. The secondary weapons are a random drop from everything you kill and is a one time use based on the order you pick them up in. 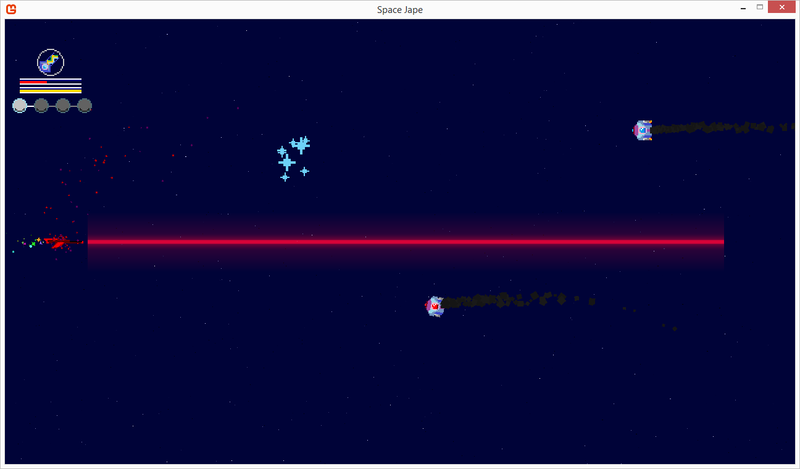 The game has one single level and a boss at the end.